Dr. Land began teaching in the Seminary part time in 1976 and full time in 1979. He served as the ninth president of the Seminary from 2002 until 2014. He is an ordained minister in the Church of God and has served as Sunday School teacher, District Youth Director, State Youth Board, State Council (alt. ), Assistant Pastor, Minister of Education and Evangelism. Dr. Land served as a pastor (15 years), urban missionary (founder: Atlanta’s Mission Possible, Inc., 1970), church planter, civil rights community organizer, camp meeting preacher/teacher in USA and numerous other countries, and as a ministerial retreat leader. He was a featured speaker at the 1995 World Pentecostal Conference in Jerusalem (Doctrine section). Dr. Land has authored or co-authored five books, numerous chapters, articles and reviews. He was the pioneer of the following courses in the Seminary: Theology of Holiness, Theology of John Wesley, Pentecostal Foundations, Apologetics. He has served as co-editor of international Journal of Pentecostal Theology and Monograph series and is a co-founder of the Seminary's Centre for Pentecostal Theology. 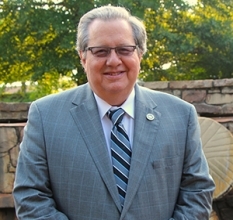 Dr. Land has held memberships in the Society for Pentecostal Studies (past president), Wesleyan Theological Society, American Academy of Religion, International Pentecostal Roman-Catholic, NCC-Pentecostal Dialogues, Jewish-Pentecostal Dialogues, Karl Barth Society, and Staley Foundation Distinguished Lecturer, Church of God Doctrine and Polity Commission (chair). His passion is ministering to ministers. Dr. Land is the recipient of the Claude Thompson Christian Social Concerns Award (Emory University) and has served as the past president of the Atlanta Christian Theological Society, on the Board Of Directors of the Christian Council of Metro Atlanta, Omicron Delta Kappa (national leadership fraternity), Who’s Who in Religion in U. S. Colleges, Advisory Council for Theological Education Leadership (ACTEL) and Board of Directors of the Association of Theological Schools in the U.S. and Canada. He is also a recepient of the Church of God Distinguished Educator Leadership Award.